Writer/director Joss Whedon (Marvel’s The Avengers) is currently hard at work finishing extensive reshoots on Warner Bros. Pictures’ Justice League for its November release, but after that he will bring Batgirl to the big screen in her own solo movie. Now DC Films co-chairman Geoff Johns has announced a Batgirl start date for when Whedon will begin production, and has updated the current status of Wonder Woman 2. So there you have it. Whedon will begin production on Batgirl in 2018! It’s also just been announced by Ben Affleck at Comic-Con that despite yesterday’s rumors to the contrary, the actor plans on keeping the Batman role for a long time to come, including in Matt Reeves’ The Batman! “Let me be clear,” says Affleck, “Batman is the greatest f–king part in the world. I am thrilled to do it.” He went on to say he’d be an ape in the background for Matt Reeves, so that sounds like a solid confirmation. Next, Johns confirmed that he’s writing the script for the Wonder Woman sequel with input from director Patty Jenkins. Johns did uncredited work on the screenplay for the first movie. It’s confirmed that Whedon’s Batgirl movie will be part of the ever-evolving DC Extended Universe that includes Justice League, Aquaman, Wonder Woman 2, The Batman solo film and David Ayer’s Gotham City Sirens. No other producers are attached to the Batgirl movie, though Toby Emmerich, Jon Berg and Geoff Johns will oversee the project for the studio, which is rumored to take its inspiration for the character from the Gail Simone/New 52 run in the comics. 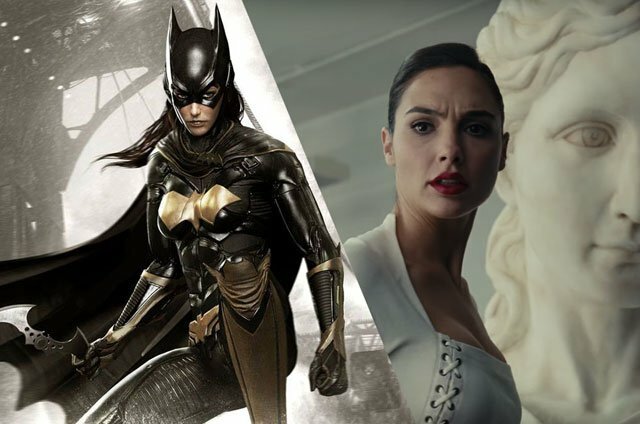 Are you excited for Batgirl, Wonder Woman 2 and The Batman? Let us know in the comments or tweet us @ComingSoonnet.